There are 64 posts in this topic. You are on page 1 of 2. I have a “possible” line on a T2. Hasn’t worked in a few years Owner may not sell so I want to make the “right “ offer. (Enough to have him sell it , but not too much where it’s above value after fixing it). Don’t really know what’s wrong with it so it’s a pig in a poke! Any suggestions tips or pricing ideas? 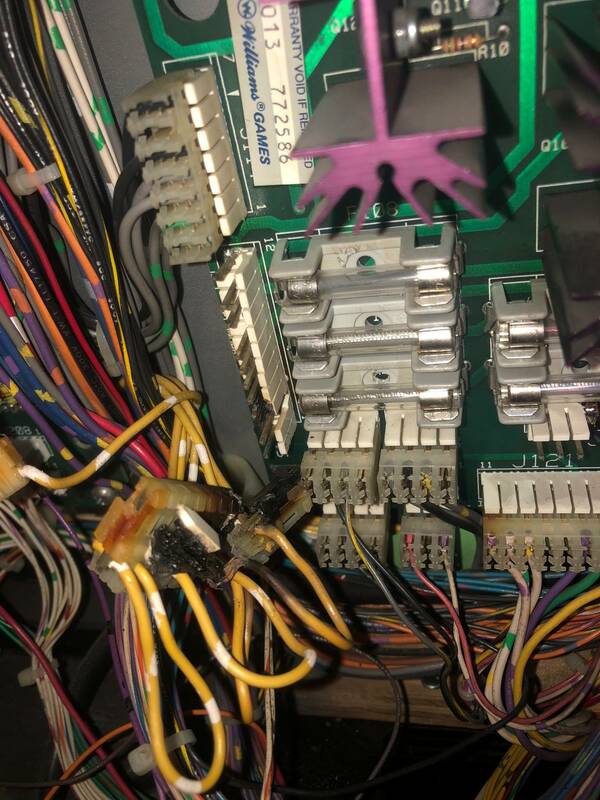 Make sure no alkaline damage on cpu board, anticipate burnt gi connectors. I don't know, depends on how much of a project it is. 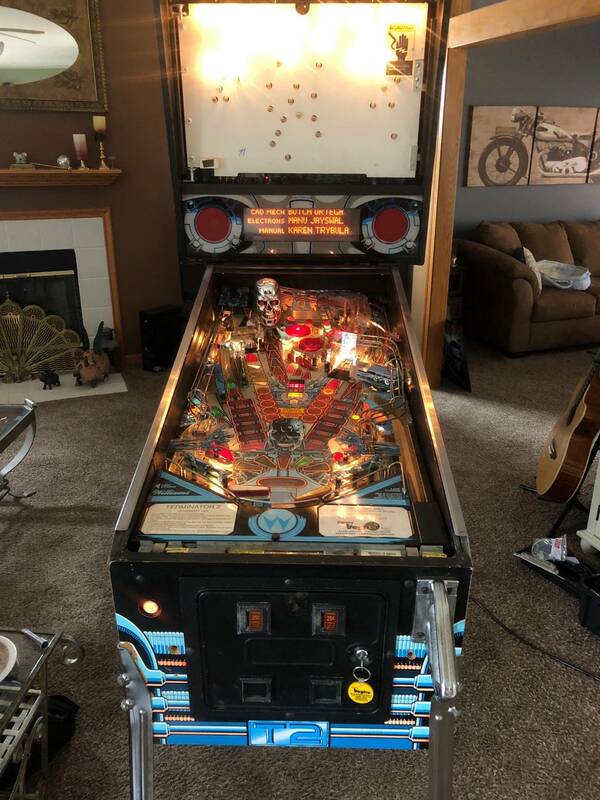 If the game is complete and not far from working and a decent playfield I don't see why as much as $1500 isn't out of the equation. Working players condition T2s are going for $2500+ these days. For a deal, and to make up for your effort, maybe $1250 max if you're looking for a deal Id guess. That’s insultingly low and not the “right offer” if the guy has checked onlineand thinks it’s worth $5,000. It’s a tough situation these days. On the other and you never know! Maybe he doesn’t give a crap and just wants to get rid of it. Sight unseen and anticipating for sure acid damage on the board, id probably offer $1100. Probably has GI burn too but who cares, they all do, and that’s a $9 and hour or two fix. Again thanks ! That’s exaxtly what I didn’t want to do - insult him. So this helps !! If you guaranteed it to all be there and just not working I’d come get it for a grand right now without looking at it. I agree with Levi. $500-750 is insulting. A grand or less is probably insulting if it is all there. I'm seeing older games in lesser condition for more than that. I'm passing on DE Simpson's that is a little more money and complete, just has some fixable problems. Granted a $1000 sight unseen is fair for the buyer as a risk taker, but the best option would be to go see it in person and make an offer accordingly. I think It would probably be something more like $1500 -$1800 depending on everything.. I think It would probably be something more like $1500 -$1800 depending on everything.. This is probably way more accurate. I'm looking at a T2 right now as well. I saw the game today, the left side of the DMD is out, there were some matrix lights out, but I don't know if it's just bulbs. The seller said that the PF canon shoots on it's own (is it supposed to do that?). I wasn't in a position to get deep into the game. The batteries were recently removed, bit I'm sure were in the game for years. The batteries themselves didn't show ant signs of leakage. I guess my largest concern is the DMD. 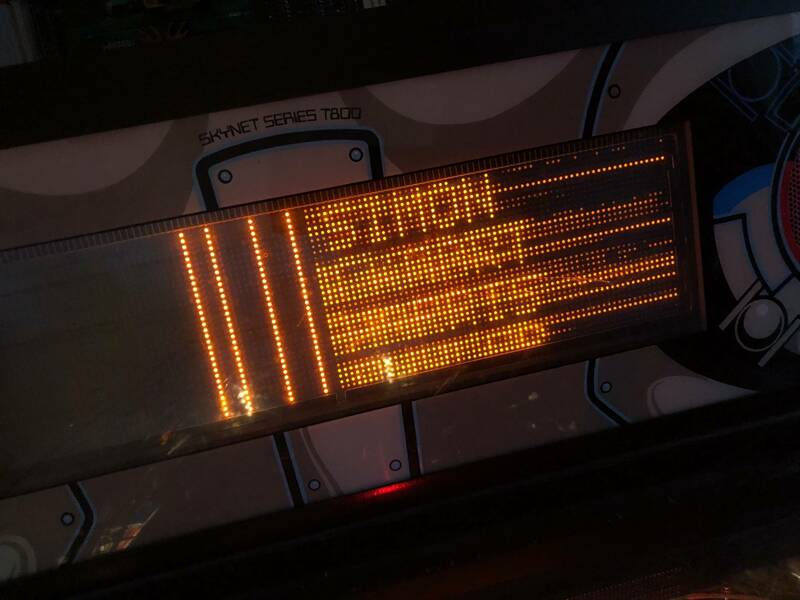 Would you think it's the display our driver board? I wiggled the connectors on both ends of the harness and unplugged then plugged the harness back in, with no change. You can get a used one for about $100. Usually from someone who replaced theirs with a colorDMD. I'm supposed to pick up the game on Thursday. I didn't really want to trouble shoot it in front of the seller. 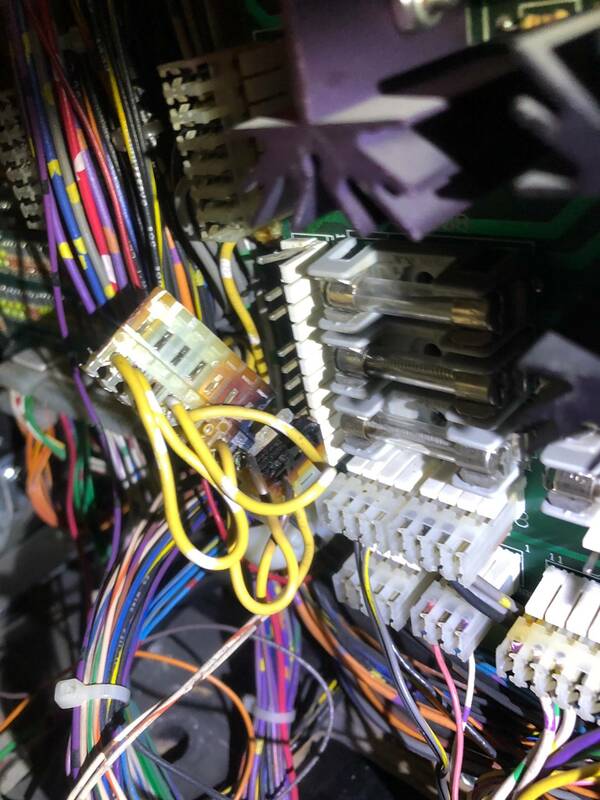 I did reseat the ribbon cable, but no change. Pretty much anything can be fixed or replaced. As it hasn’t worked for the 2-3 years I’ve seen it, I will probably be on here asking stupid questions to get her back up and running. Fingers crossed! now to find out what's up with the DMD. Good news! keep me posted on your progress. Don’t know the shape of mine (still negotiating) so any item is useful. will do. good luck with the negotiations. Me thinks it B the DMD. Agreed on the colordmd option for T2. Just not worth the upgrade. I went with the $4 red film upgrade and think it's perfect.... way better choice than a color dmd. Of course, since hes trying to solve a bad dmd issue it's more understandable. But still. I'm not sure if it's a keeper, and hopefully getting a replacement old fashioned, boring, orange display tomorrow. Didn't realise I even implied it's the greatest thing ever... But if you have to buy a new display, why not go for the best? Maybe it's just me. Good for you. Something just doesn't sit right with ColorDMD in older games like this. I prefer the original look as well. Let's start an argument........how you we feel about LEDs in older games? LOL, No, let's not go there. 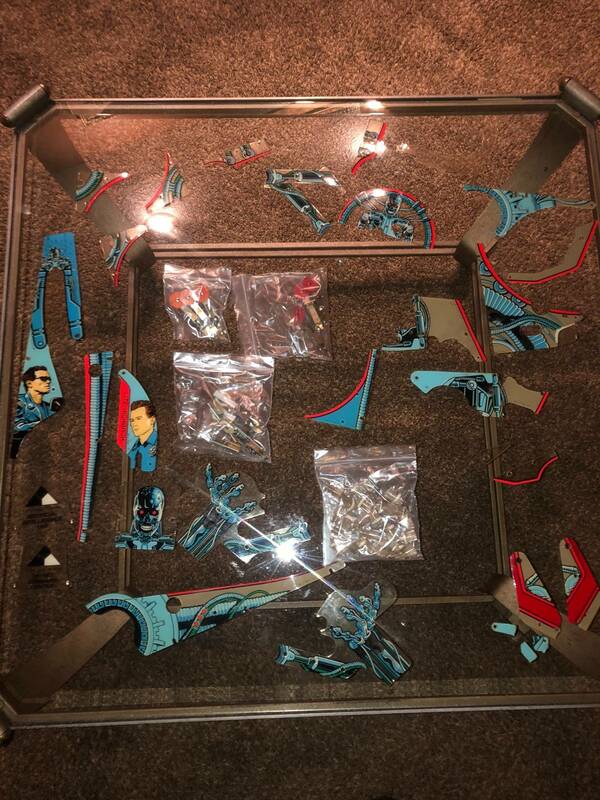 BTW, since this was Nikrox2's thread about him getting his T2.....What's happening with that? 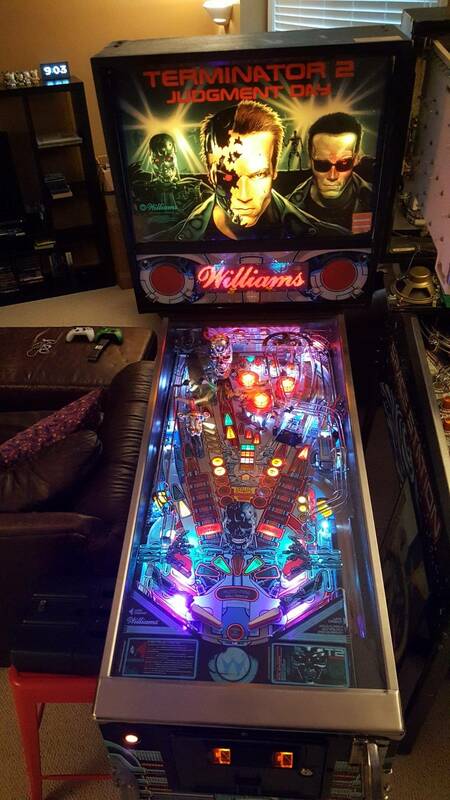 I have LEDs in only 1 of my 5 games, if that tells you anything. I meet with the “possible” seller this week again. He’s not yet ready to part with it yet but I keep prodding . I’m doing my best to get it tho! This one tilts. 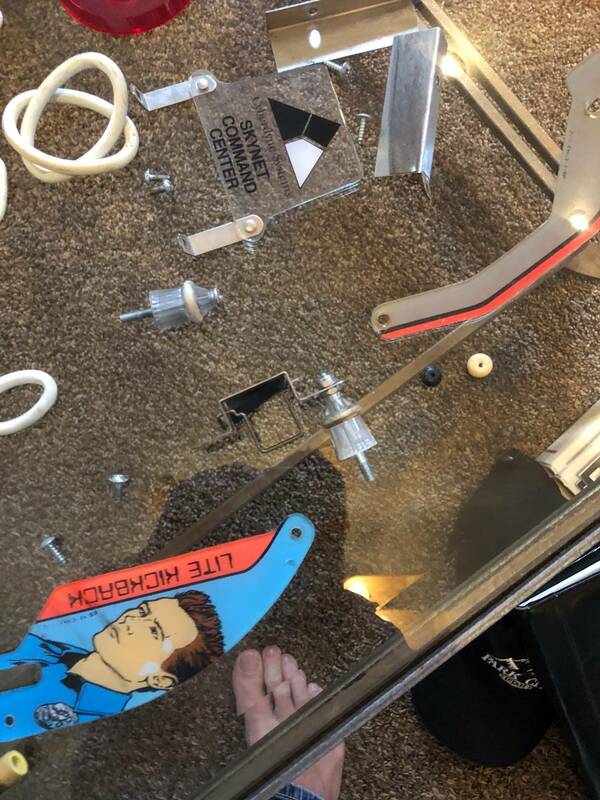 You can take the head off, but you have a few dozen connectors to remove. Whoop Whoop! 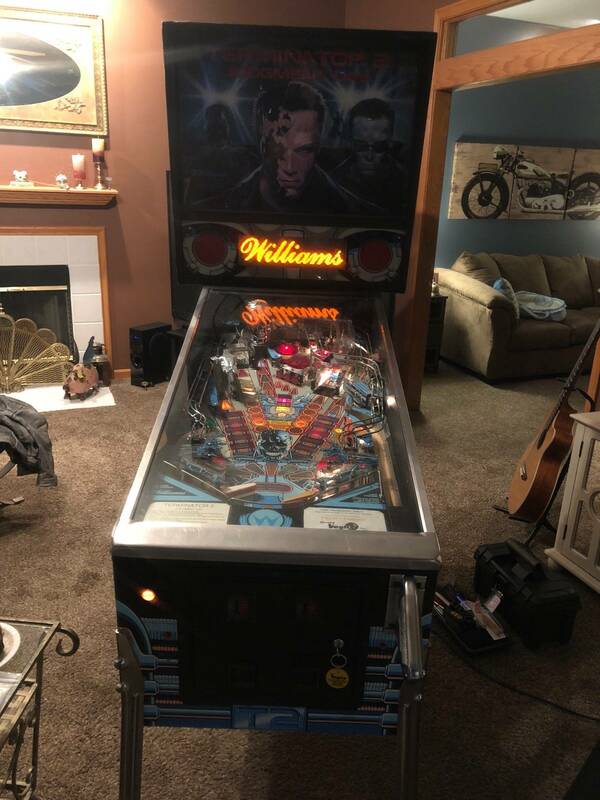 Offer accepted, well I had to raise it $100 more than the original offer, but we've come to an agreement and I pick it up Friday! Yeah! Now, of course I'll need to plug it in and see if it even works, then the usual clean / fix what's broken, but this one is a no mod unit, basic factory. What would be the top 10 mod's I should do for the best bang for my buck ? Thoroughly agree 1000% there "wayout440"! Good call tho, I like my games to be as original as possible, even with the dents and scratches...how do they say that on TV - oh "Patina"
Just thinking ahead....I see the mirror blades, LED"s, all of these other add on's, etc - so wishful thinking on my part....but yes, get her working 100% first! Hear hear!!! I'm glad I'm not the only one who thinks this. Led's under inserts are enough mods for me. Congrats! 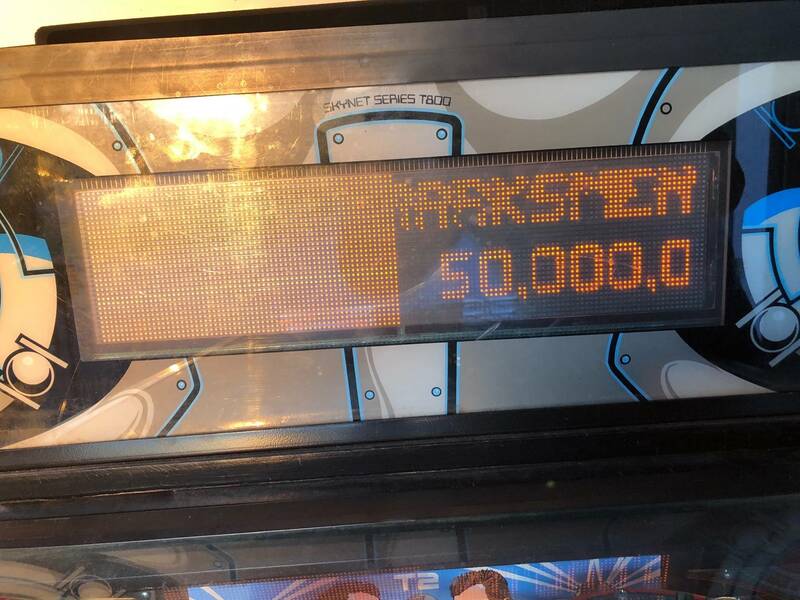 Great score, and great game! Obviously the backbox GI is out, and the left side of the playfield - both easy fixes and common on this game. 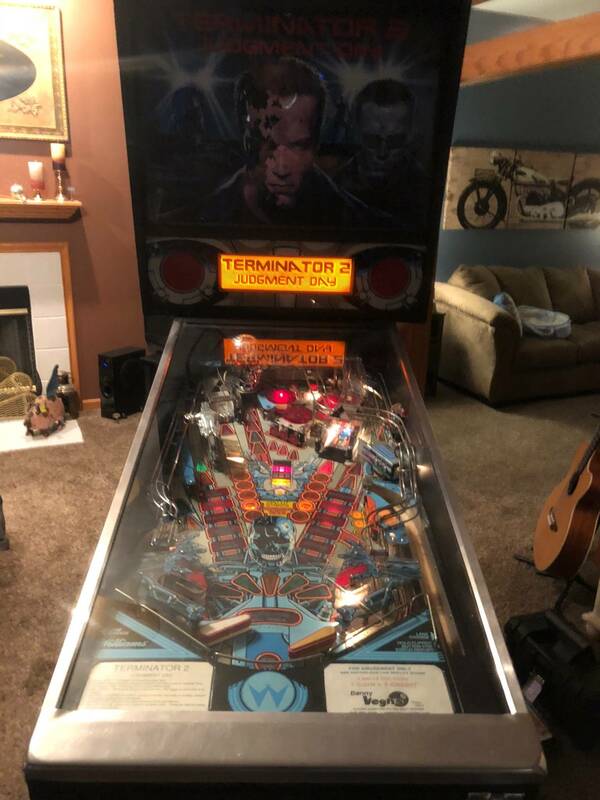 T2 was my first DMD game also, and my backbox GI was also out. 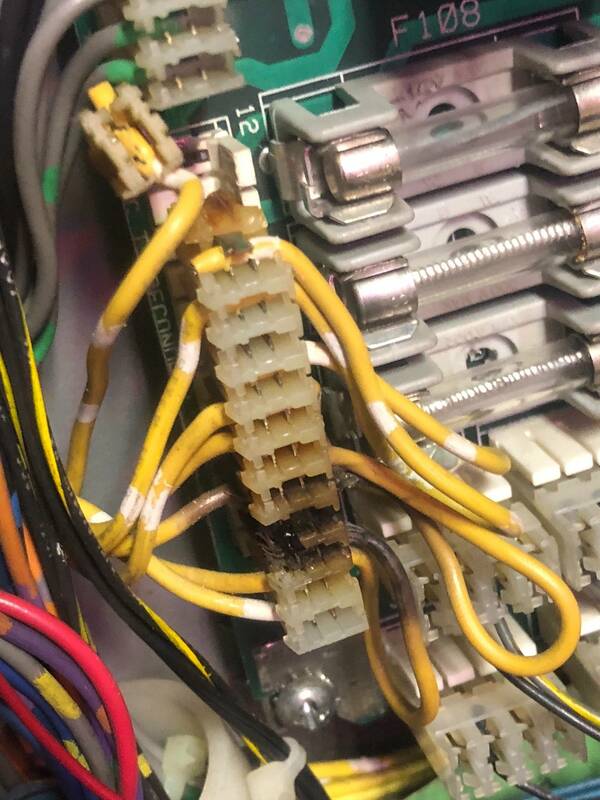 First molex repair I ever learned. Check fuses first, then check the connectors in the lower left corner of the driver board. 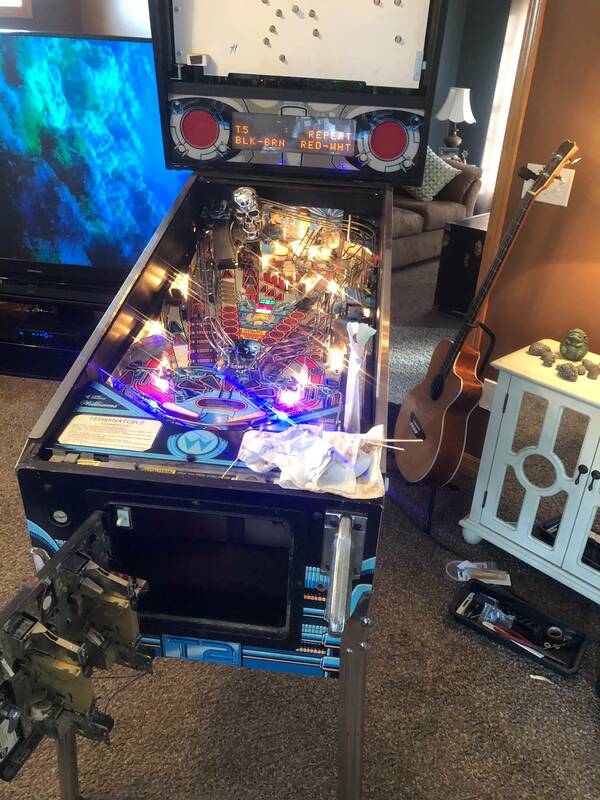 Does the flipper go down when you shut the game off? 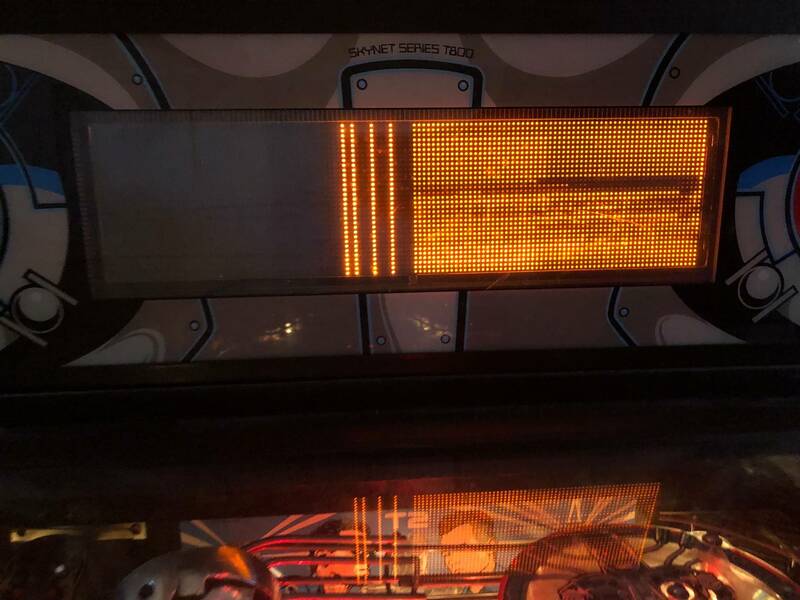 Any credit dots on the display once the game boots up? Let's get this thing working 100%! Dude! Thank you. We are sitting here now, not knowing how it all should work and you see it all from a photo! Amazing Thank you! 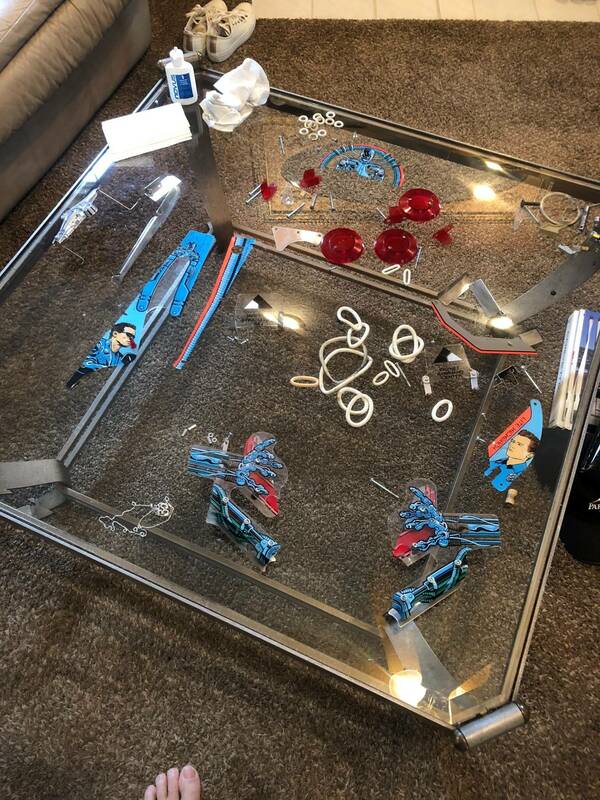 Will check on those items and yes that piece is broken wouldn’t have known. Again thanks for the help ! And you’re right ! 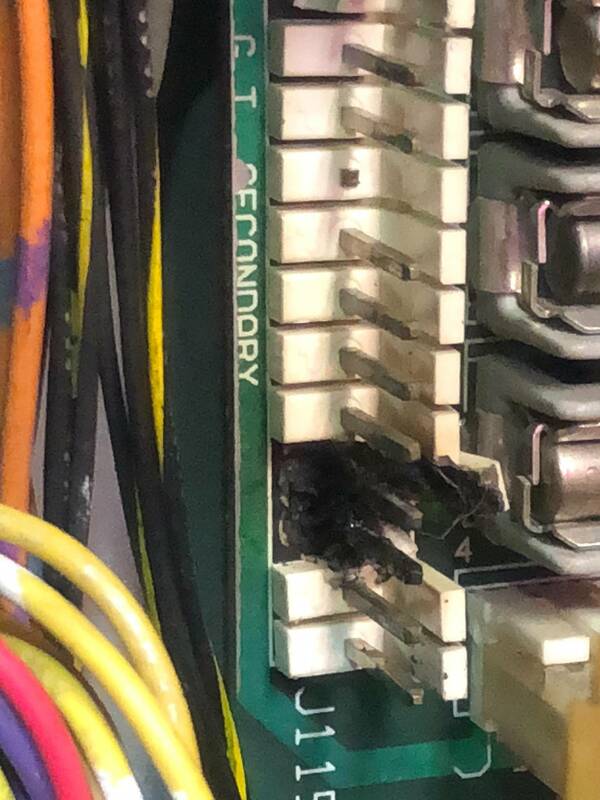 Removed this connector and it broke in half where it looks like it had burnt before. Yes. I can push them in and I’m getting all lights. Intermittent of course because the connector is fried and in 3 pieces. What’s the cause of this? On the Skull...get the cool led eye sockets and paint the teeth white. Get the led H/K ship ...looks cool and protects the ship. 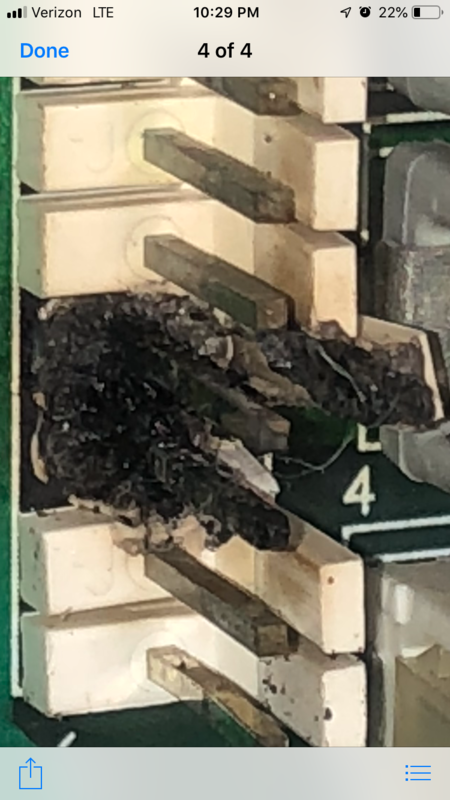 The actual pins on those boards should be replaced too, they've had so much heat put on them they're breaking down, same as the connectors. 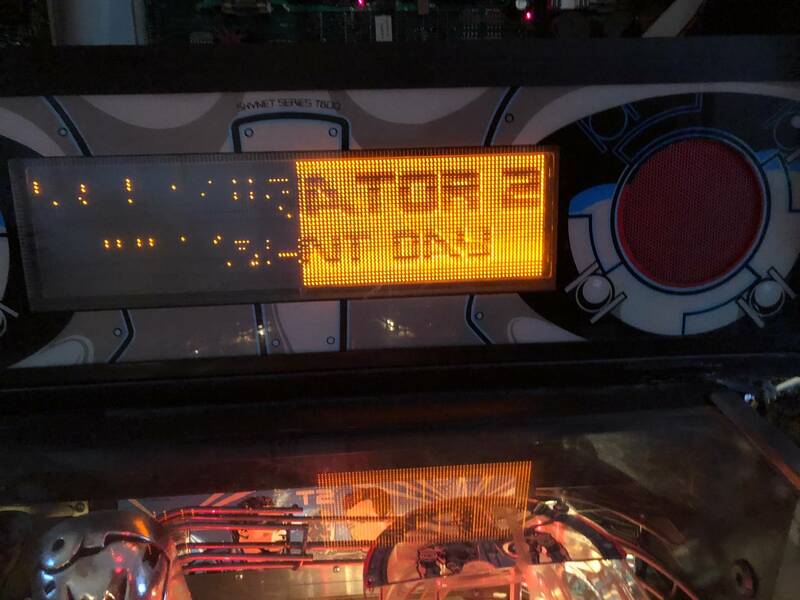 The general illumination circuits werent designed well on this game. Putting led's in will greatly reduce the stress on the system, as will #47 bulbs instead of #44s, but once you replace those connectors and pins you should never have a problem again in a home setting. Be careful removing the connectors, looks like that top pin got bent a bit.